F ights with animals in the wild such as coyotes, javelinas and bobcats, can be the cause of devastating and life threatening injuries to dogs and cats. In this case, a javelina got the upper hand of a very tough little four year old Jack Russel Terrior (JRT) named "Dyno." He is accustomed to the wild, however in this situation, he experienced some injuries that almost cost him his life. 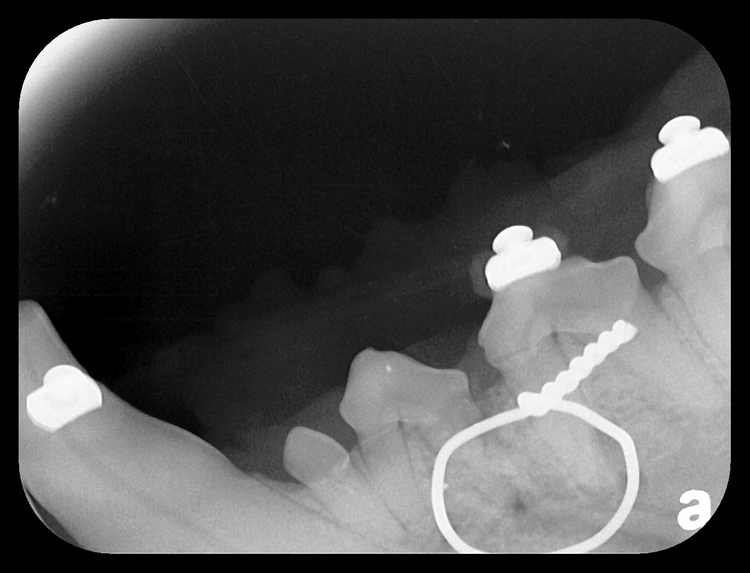 "Dyno" was referred to our facililty by a nearby veterinary emergency clinic for a possible mandibular jaw fracture. He was treated at the emergency center for multiple deep leg lacerations. 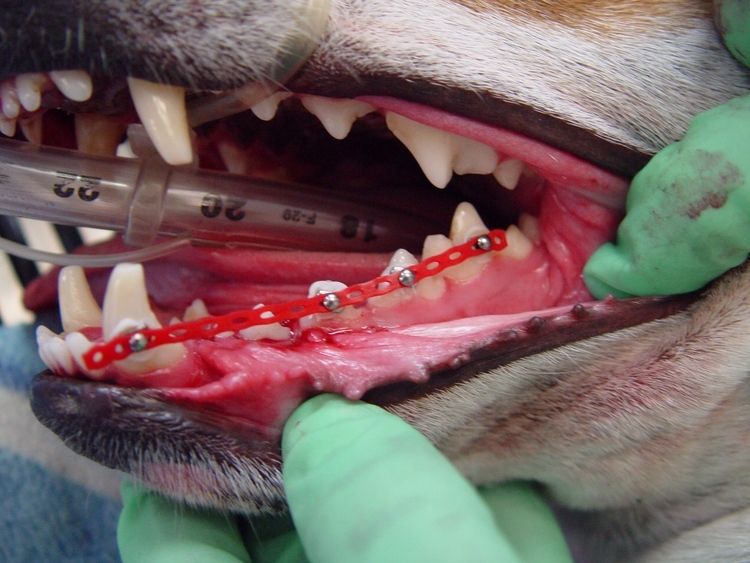 Once stabilized, "Dyno" was transferred to our dental practice for a complete oral evaluation. 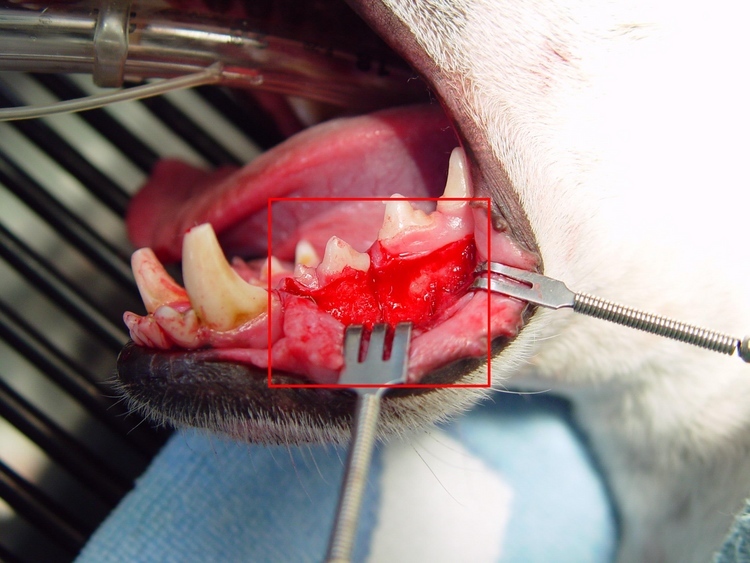 After a pre-operative assessment was made, a general anesthetic was given to evaluate the oral trauma. The operative concerns were addressed with IV fluids, system monitoring, pain medication, and antibiotics to assure a positive outcome. 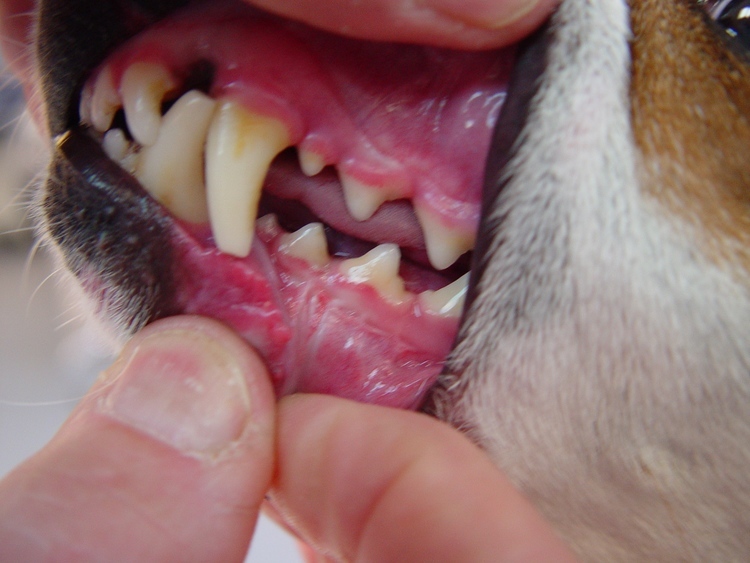 "Dyno" had extensive lacerations of the buccal and sublingual tissue around the lower left mandibular body. 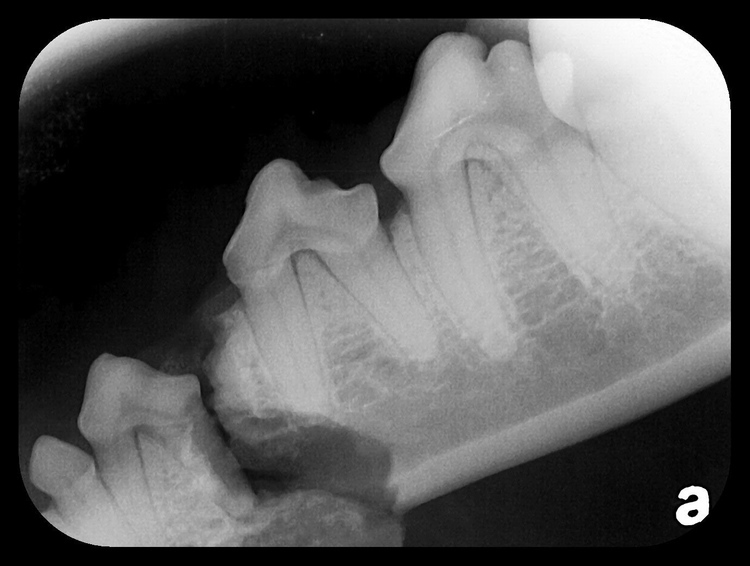 An instability and fracture were noted at the level of the premolars (#306 and # 307). The fracture extended through the entire mandible. 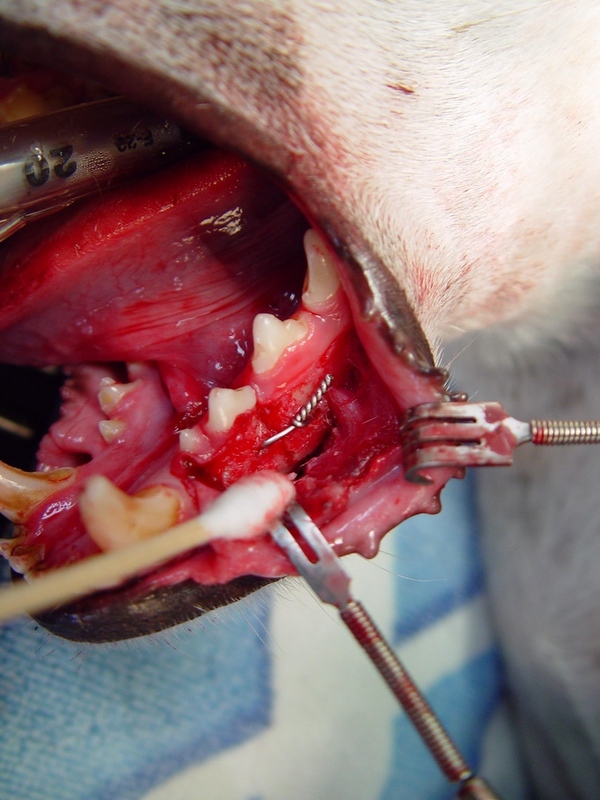 This type of mandibular fracture can be very challenging to stabilize and repair. 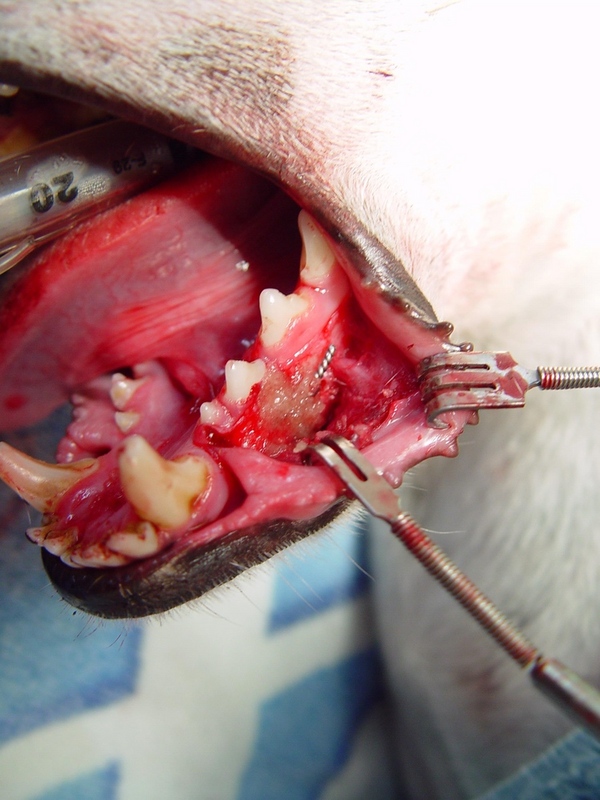 Repair involved placement of a interfragmentary wire coupled with an orthodontic band. 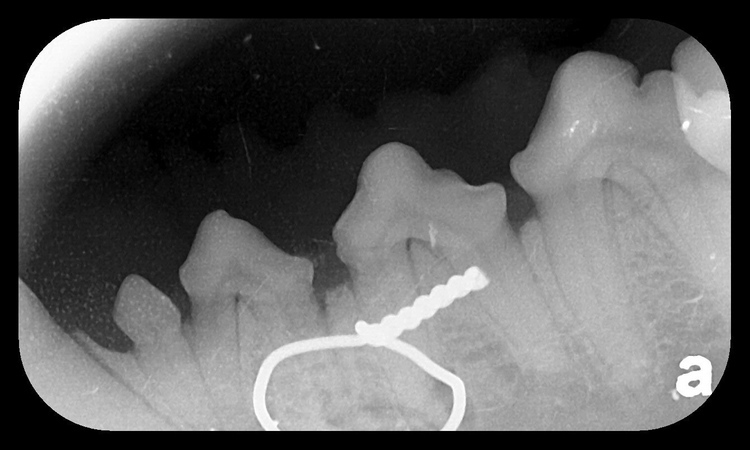 At the one week recheck, an interdental wire was placed to maintain increased stability. 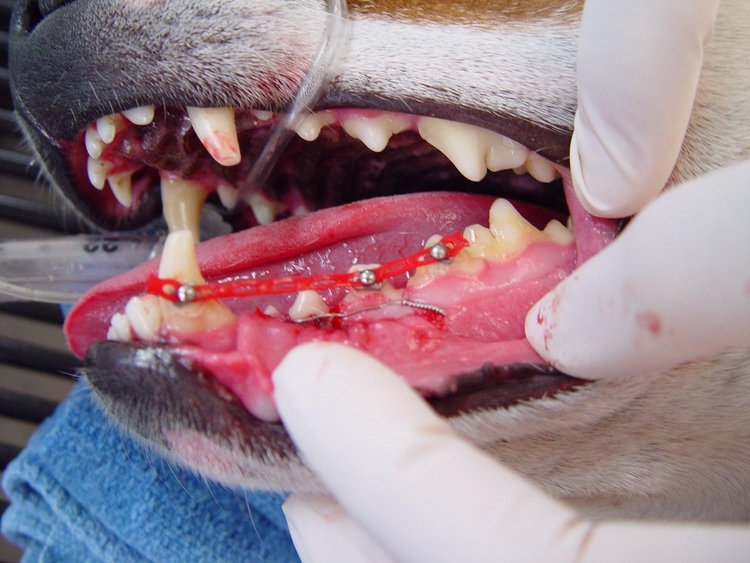 Extensive injuries can be sustained by a wild animal attack. Some injuries can be handled quickly, while others require several surgical procedures to attain a successful outcome. 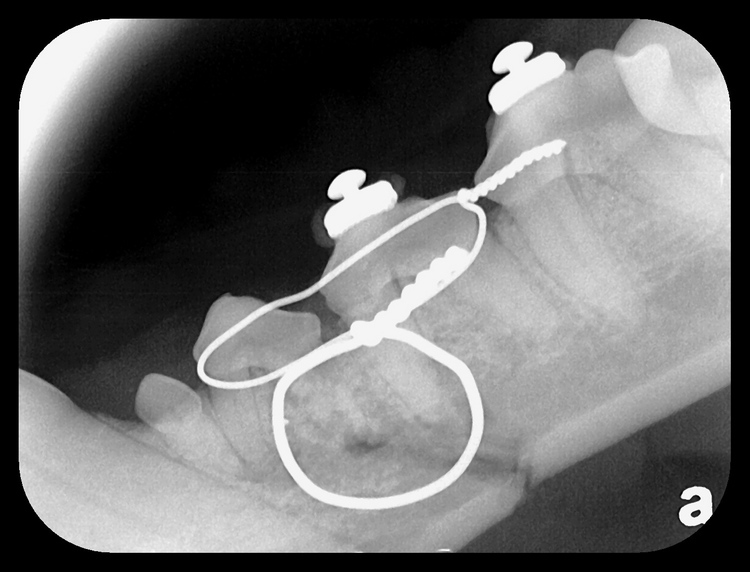 "Dyno" has full funtion of his rear leg and the wires and orthodontic device are scheduled for removal in the coming weeks.